What Are The Best Fat Burning Diets? No matter what your long term dieting goals are, the one thing everyone wants to do is find the best way to lose body fat. You could be trying to drop a few pounds to squeeze into that cocktail dress or maybe you have a high school reunion coming up that you just can’t miss. Either way, dropping your stomach paunch and that extra fat around your face is vital. 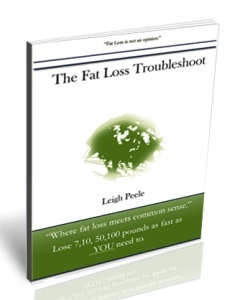 Here are just a few things you need to watch out for if you are looking for the ultimate fat burning diets. While you don’t need to go all Sugarbusters or Atkins, lowering the amount of refined sugar you take in will help your body get into the right mood for burning fat. When you take in a lot of sugar, it is the first thing your body burns because it takes the least amount of work to turn into energy. By all but eliminating sugar from your diet, you are forcing your body to burn fat for energy. If you have a sweet tooth, you can always turn to artificial sweeteners. Along with a diet that significantly reduces the amount of refined sugars you take in, you also want to reduce the amount of saturated and trans fats you take in. This doesn’t mean that you should eliminate all fats. Unsaturated fats are good for you, like what you find in avocados and some cooking oils such as sunflower oil. What you want to avoid is the fat in margarine and the kind of fat that is often found in processed foods like doughnuts, pastries, and other snack foods. Saturated fats are difficult to burn into energy and they clog your veins, too. Often times, you can accomplish the high fiber and veggie duo in one fell swoop. Many people think high fiber food items only involve grains, but you can find many fruits that are high in fiber, too. Try to enjoy five or more servings of fruits and veggies every day. If you are having trouble eating that many stand-alone servings, remember you can integrate veggies into other courses you are enjoying. An example would be like tossing a can of corn into a casserole or having a banana in your oatmeal. The more creativity you show, the easier your diet will be to handle and the more you’ll enjoy it. Now that you have your diet right where you want it, it is extremely important that you begin working out, and nothing burns fat quite like cardio exercises. The best part about cardio is the fact that there are several different exercises that fall under the cardio umbrella. You can run, walk, jog, swim, bike, and more. Any activity that you can do for 45 minutes to an hour uninterrupted and work up a sweat will help burn fat. If you also integrate some light weight training, it can help burn fat even faster. Burning fat doesn’t have to be complicated. You just need to show some self-discipline and you’ll be ready to slip into that slinky dress before you know it. 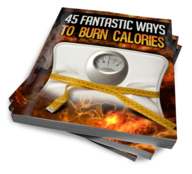 I hope that this article gave you some insight on effective fat burning diets.